Here’s what’s up in the world of TV for Sunday, July 10. All times are Eastern. [Steven] Zaillian’s direction is never less than confident and doesn’t feel obtrusive even at its showiest. And not enough can be said about the ensemble cast, which is stacked to the rafters with ringers; elite character actors fill even the most thankless roles. (A drinking game could be made of spotting the familiar faces that pop up for glorified walk-on roles.) But no actor is wasted, because no character is wasted. Each moment and every exchange are pieces of a misshapen puzzle that may or may not come together by the end of the eight-episode run. To help guide viewers through every theory and development, Alasdair Wilkins will be on hand for weekly coverage. Endeavor (PBS, 9 p.m.): The Inspector Morse prequel wraps up its third series tonight, as young Morse is trapped in a bank during a robbery and realizes he’s part of a plan to conceal another crime. Could that crime be the creation of undead Kingsguard in the bank’s vault? Sorry, we just realized this week that Anton Lesser (better known as Qyburn) plays Morse’s superior officer, and we’re going through enough Game Of Thrones withdrawal that we’ll latch on to any parallels. The Real Housewives Of New Jersey (Bravo, 8 p.m.): It’s the seventh season of the Garden State’s version of the unkillable reality franchise. Your What’s On Tonight correspondent doesn’t watch this show, but apparently there’s some tensions between Jacqueline, Melissa, and Teresa. Also Melissa is opening a boutique. So there’s that. D.B. Cooper: Case Closed? (History, 9 p.m.): The identity and fate of D.B. Cooper, America’s most prolific skyjacker, is a popular topic among conspiracy fans. This documentary series is the latest effort to crack the case, sharing the details of a five-year investigation that promises to unveil new details. If it’s that he’s Don Draper, we’ve heard that one before. Our personal theory is that it’s Jimmy James. The Watcher (Lifetime, 9 p.m): Who watches The Watcher? Not many people, we’re guessing, given its utterly generic description: “Unaware of its terrible history, a young couple purchases their dream home. But it soon becomes clear that they may not be alone in the house… and that someone—or some thing—is determined to drive them out.” Your What’s On Tonight correspondent at least happy to see Edi Gathegi getting work, as we’ve liked him since season four of House when he was one of our favorite competitors for the open slots on House’s team. Princess Diana’s Death: Mystery Solved (Reelz, 9 p.m.): In the second of the night’s documentary offerings for conspiracy theorists, “internationally renowned detective” Colin McLaren looks into the open questions surrounding the 1997 Paris car crash that killed Princess Diana. Spoiler alert: D.B Cooper masterminded the whole thing. Escaping Polygamy (A&E, 10 p.m.): The second season premieres tonight, focusing on three sisters who help other young women escape the dangerous lifestyle of a polygamous cult. We applaud their efforts, and also A&E’s design for the show’s key art. It’s very Big Love meets American Horror Story—and no, Ryan Murphy, do not take this as a suggestion. 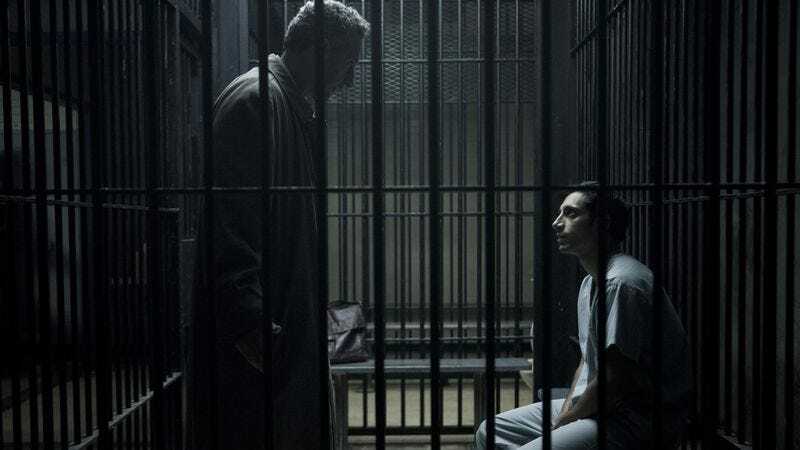 Show Me A Hero (HBO Now): Your What’s On Tonight correspondent has high expectations for The Night Of, particularly because HBO’s last limited series offering was his favorite show of 2015. If you haven’t gotten around to the David Simon/Paul Haggis/Oscar Isaac collaboration that turned the seemingly mundane story of a New York housing crisis into a fascinating saga of politics and race in America, get on that.